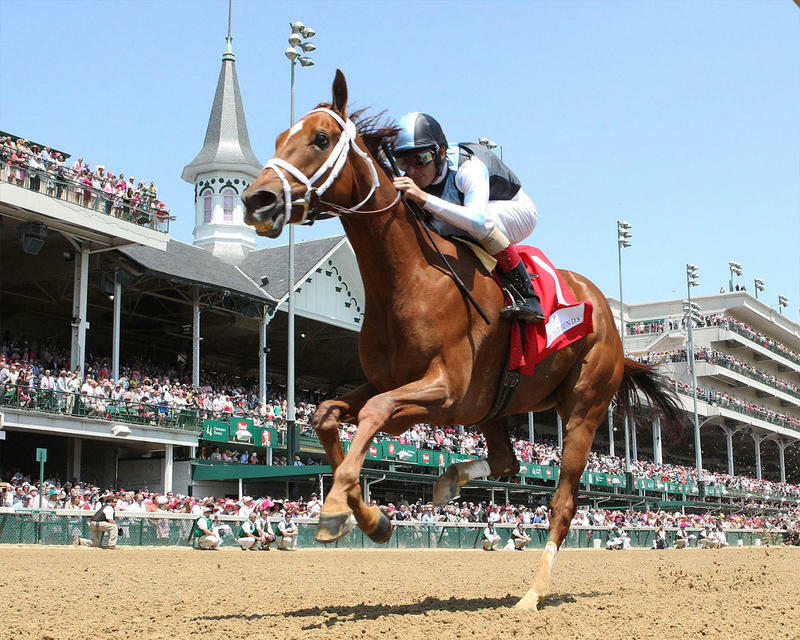 LOUISVILLE, Ky. (Friday, May 6, 2016) – Eclipse Thoroughbred Partners’ Curalina, making her first start since finishing third in the 2015 Breeders’ Cup Distaff (GI), took command at the head of the stretch and drew off to post a 7 1/2-length victory over Engaginglee to win the 31st running of the $300,000 La Troienne Presented by Spirited Funds (GI) for fillies and mares. Trained by Todd Pletcher and ridden by John Velazquez, Curalina covered the 1 1/16 miles on a fast track in 1:42.45. It was the third victory in the La Troienne for Pletcher, who won with Authenticity in 2013 and Oonagh Maccool (IRE) in 2006. Velazquez’s victory was his second, having won in 2013 with Authenticity. 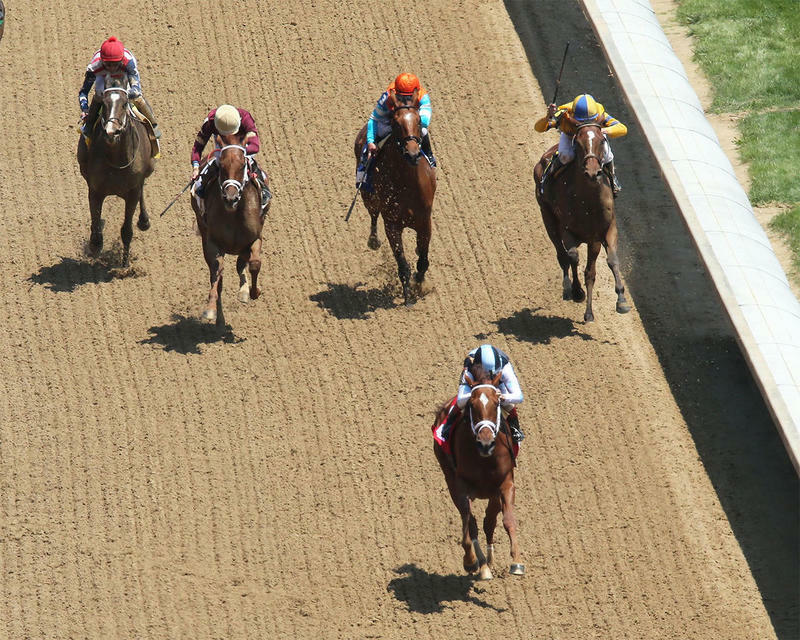 Angela Renee led the field of six through fractions of :24.44, :48.38 and 1:12.36 with Curalina in closest pursuit. Turning for home, Curalina collared the leader and quickly pulled away. 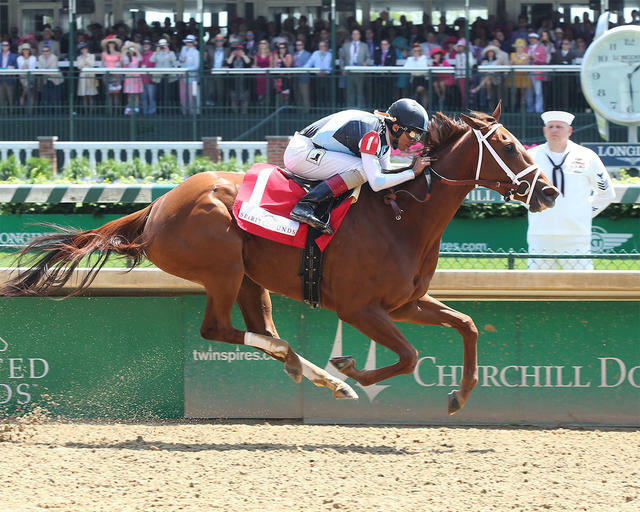 The victory was worth $184,140 and increased Curalina’s earnings to $1,190,940 with a record of 9-5-2-2. 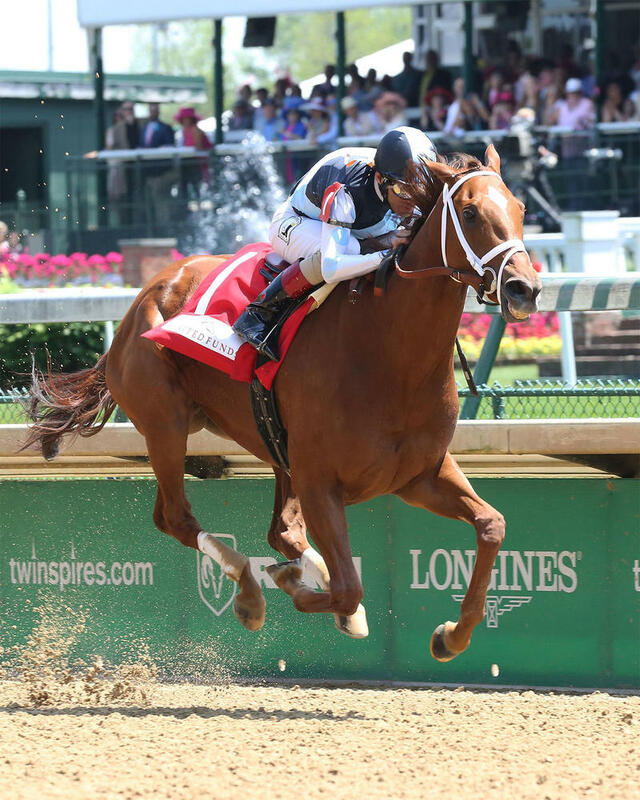 It was the third Grade I victory for Curalina who won the Acorn and Coaching Club of America Oaks in 2015. Curalina is a 4-year-old Kentucky-bred daughter of Curlin out of the Graeme Hall mare Whatdreamsrmadeof. Curalina returned $6.60, $4.40 and $2.40. Engaginglee, ridden by Corey Lanerie, returned $13.20 and $3.80 in finishing a head in front of favored Sheer Drama who paid $2.10 to show under Joe Bravo. It was another 1 ¾ lengths back to Angela Renee in fourth. She was followed in order by Brooklynsway and Penwith. Any concerns about bringing her back right into a Grade I race off a six-month layoff? Corey Lanerie (rider of Engaginglee, runner-up) – "The horse ran great. (Trainer) Dale (Romans) had her ready. My instructions were to be second or third if we can't win. This was really big for this filly. I just sat back there and bidedmy time with her. She fought to the end. She could have easily given up and been third."